Your Spring Vaya is ready! Check out Fr. Christopher’s article on pg. two; the Palm Sunday, Holy Week, Vigil, and Easter service schedule on page four; and many other stories about upcoming events, as well as a few ministry recaps. 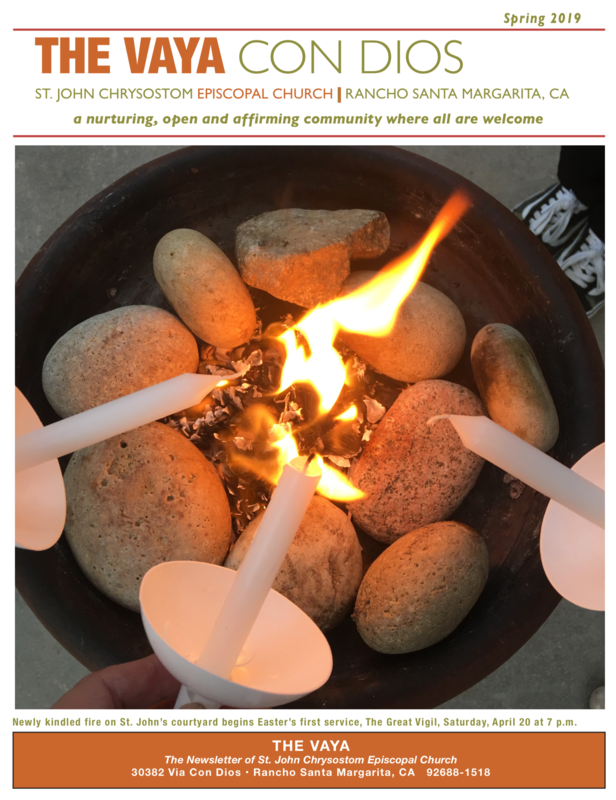 The Vaya Con Dios celebrates the community and outreach of St. John’s — thank you for your commitment to our church and those whom we serve. See you at St. John’s! The Vaya Con Dios, right here!